Offer versatility and dependability for high-speed and multi-level applications and for moving large, heavy loads. Durable, heavy-duty construction and maximum flexibility in carriage size, capacity and traffic patterns. Our lightweight and versatile lifts operate smoothly and quietly, making them perfect for any residential or commercial application. 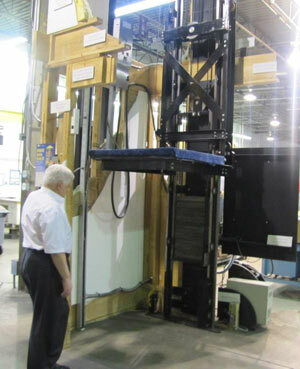 MA now requires material lifts to be installed by licensed elevator personnel and to be fully tested by the Department of Public Safety.